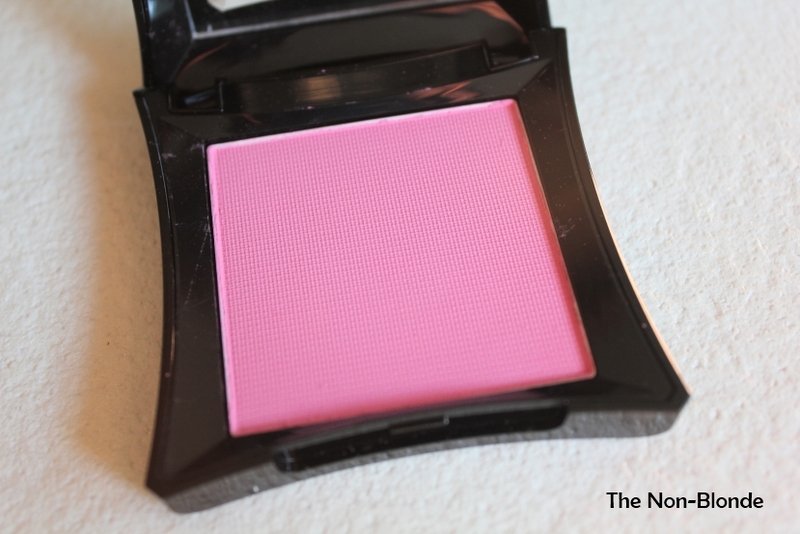 This blush, Chased, from Illamasqua, was an impulse purchase early last spring. I guess I was craving something pink and floral, otherwise I can't really explain it. 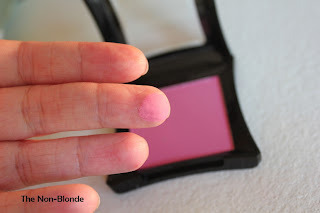 It's not that Illamasqua Chased blush isn't pretty. It's a lovely cool pink that with lots of blending and a good bronzer doesn't look too bright or too foreign for my skin tone. 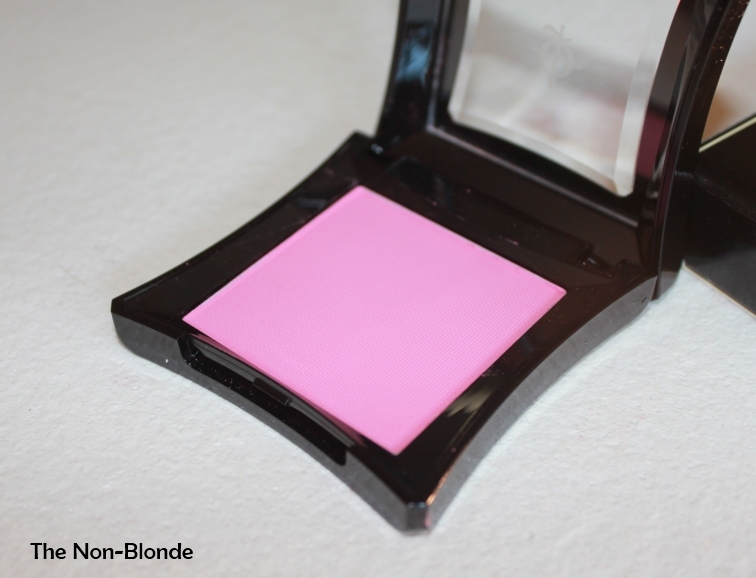 Illamasqua blushes are known for their intense saturation. Basically, it's like working with a pure pigment rather than with a face product. 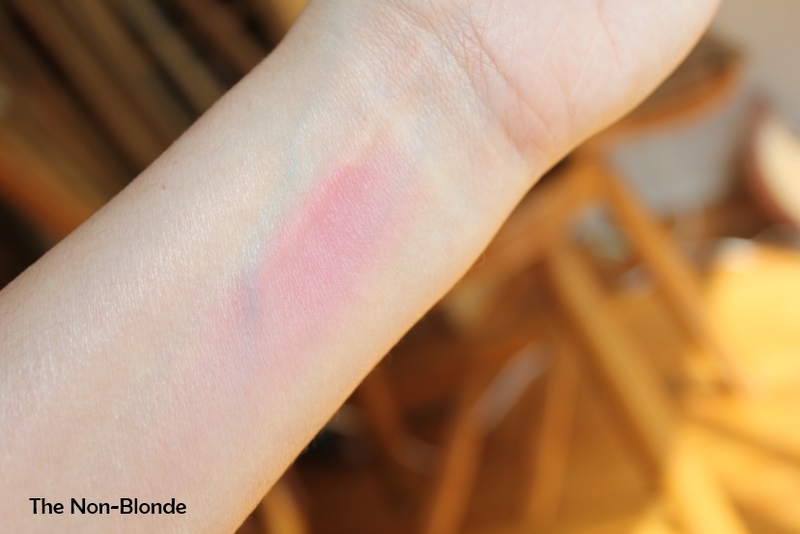 Some of the blushes tend to be chalky side, but Chased isn't. It's just a very simple pink. A big part of what makes a great blush and separates luxury brands from the chaff is color complexity. You don't want your cheeks to look covered in paint. Thus, a good blush is more than just a pretty pigment; the product needs to become part of your skin and give it a boost of radiance. While Illamasqua Chased blush can and does look good, it requires a lot of help from the products I layer underneath. It's not the kind of cheek color one can apply to a naked face without looking like a Crayola experiment gone wrong. Bottom Line: pretty, there are many better products out there. Illamasqua blush ($24) is a Sephora exclusive, in-store and online. such a lovely blush. and illmasqua is never wrong! I just purchased some of their eye shadows-their colors are interesting that's for sure! I don't know about the blush-that is very (very) bright! So so pretty. 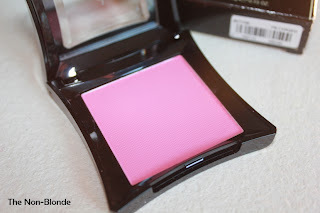 I love Illamasqua blushes. 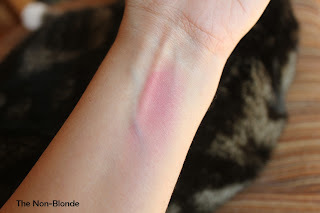 Your last thoughts on how a luxury blush should perform are very well articulated!! I can't agree more! I feel the same way about blushes, and about Illamasqua in particular. Way overrated!